Why can two drummers play exactly the same rhythm, both keeping good time, but one excites and grooves and the other sounds flat? The key is that the great drummers, the unique drummers play intentionally. Great drummers find, understand and execute the purpose of every note and space. If you know why you’re playing or not playing something, everything changes. Your playing becomes highly selective and intentional. Notes take on deeper meaning. Spaces become as active as what you’re playing. Sometimes you can play nothing through a break and it will excite the audience as much as anything you play. Why? You intended to highlight and frame that space. People hear and feed on your intent. Here’s a sample from Steve Gadd. I like Steve’s playing much more now because he leaves more space, his ideas are easier to absorb and the groove is deeper. Conversely, autopilot playing is the enemy of musicality. If we play a rhythm or a fill just because it’s a cool pattern we’ve worked on or because we’re imitating a groove we think fits the style of the music, our playing will lack intentionality and lay flat. People will in some way, sense the lack of creativity. The sense that the instrument is controlling you instead of you presenting your own intended musical thoughts. The music will never rise to the level you want because you’re playing someone else’s thoughts. Autopilot playing translates to lack of energy and ultimately lack of creativity. 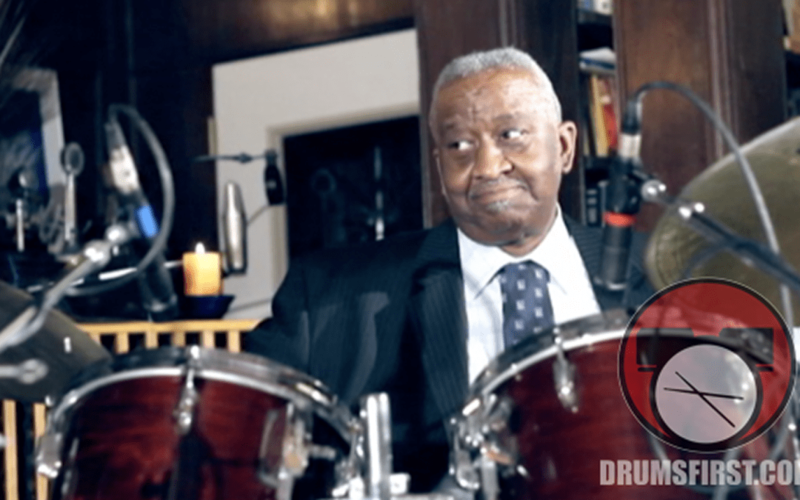 Tony Williams, Bernard Purdie, Buddy Rich, Art Blakey. Regardless of style or technical ability, these drummers know (knew) exactly what they wanted to play or not, and how to execute their thoughts, creating a groove and energy that everyone hears and feels. Isn’t that what identifies us as unique musicians or people for that matter; the way we execute our thoughts?